← What is ‘Junk’ Food? This is one of my favorite favorite recipes which uses whole wheat flour instead of the all purpose flour (maida) and requires very little amount of fat and still gives delicious, moist muffins! Cream the butter and the sugar together till fluffy. Then add the beaten eggs and mix lightly. In a bowl, mix thoroughly, the whole wheat flour, the baking soda, baking powder. To the sugar and egg mixture, add the mashed bananas and lime juice and mix. Now add the flour mixture to the banana mixture and mix thoroughly. Add milk if the dough is too hard to combine. Remember, do not overmix or the muffins will turn out tough. Line a 12 hole muffin pan with cup-cake liners and spoon a dollop of the muffin mixture in each paper cup. Bake in the centre of an oven for 25-30 minutes till the tops of the muffins spring back when pressed with finger tips or a skewer inserted comes out clean. Serve warm. 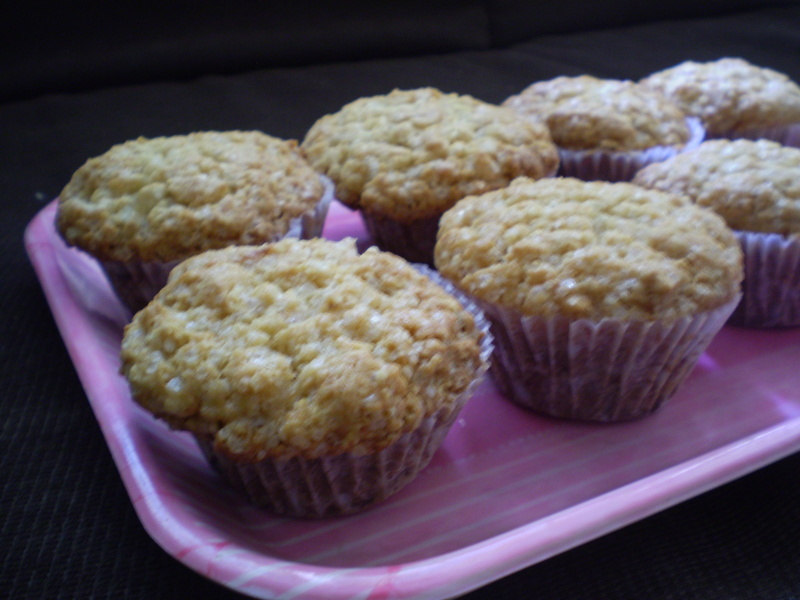 This entry was posted in Healthy Recipes and tagged Cooking, Easy Recipe, feasts, health conscious, Low Calorie, muffins. Bookmark the permalink.